3. We are factory, not trading company, so we can provide first-hand factory price. 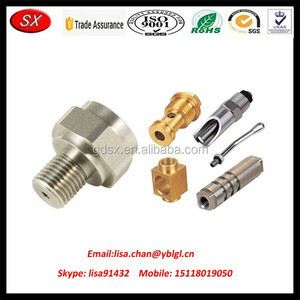 Samples Samples can be provided according to customers&rsquo; requirements or after get customers&rsquo; drawings. Sample cost should be afforded by customer and return back when place big order. 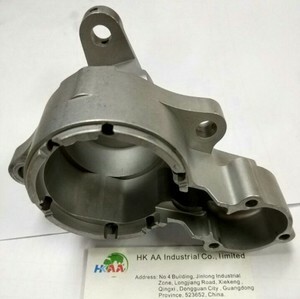 we are making stamping,die casting,forging,machining parts with different materials,such as brass,aluminum alloy,steel,stainless steel,zinc alloy. 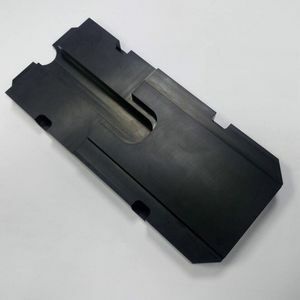 3.our strong R&D and QC department can control the products to meet your strict requirement. No matter you have a drawing or a samlple,we can give you the quotation within 24 hours. 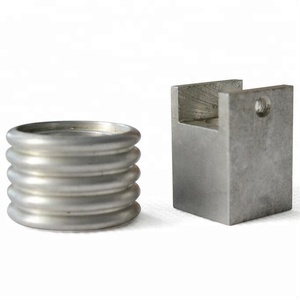 Before making the worm parts we will send the design to our customer for your approval. 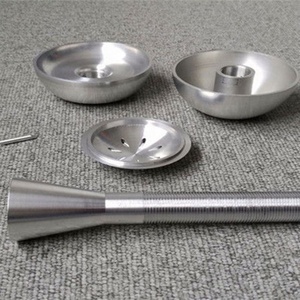 2 , Once finished all the die parts,we will assembling the tool,and start to test sample. 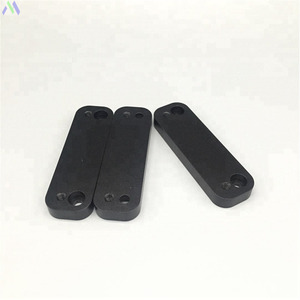 During the production,we will measure the first sample confirm all the dimensions are ok.
2 YRS Xiamen Perfect Machinery Manufacture Co., Ltd.
1 YRS Shenzhen Dadesin Prototype Co., Ltd.
" Offer a quality product and service at fair, competitive pricing . " Our goal is just as simple . . . We deliver our expertise. 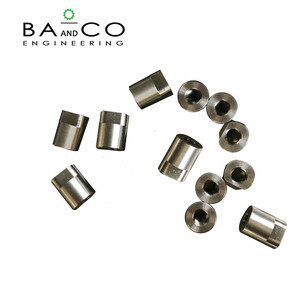 Performs highly specialized, close tolerance assembly work using highly trained operators. 2. Q:Where is your factory located9 How can I visit there9 A: Our factory is located in Dongguan city, China. We always attach great importance to quality controlling from raw material to the very end. 3 YRS Ningbo Hengyue Metal Products Co., Ltd.
2,To be packed in cartons or wood case. or pin tight the wood case with nail. 7.Whole set of technical supports and with abroad projects experience. The spindle head of boring and milling can be installed on various machine production lines, common machine reformation and combination center machine. &bull; Process is concentrated, so as to expand process range of the CNC numerical control machine tool and reduce floor space. 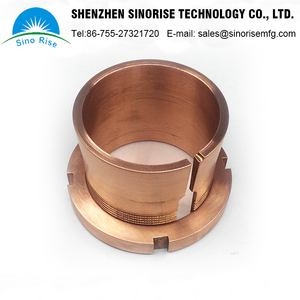 It is able to avoid problems affecting the precision of the machine due to the thermal deformation of the spindle. 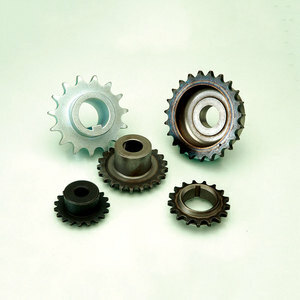 Alibaba.com offers 486,223 parts of motor products. About 4% of these are laser cutting machines, 1% are electric bicycle, and 1% are ac motor. A wide variety of parts of motor options are available to you, such as servo motor, asynchronous motor, and gear motor. You can also choose from ce, ccc, and rohs. As well as from boat, car, and home appliance. And whether parts of motor is totally enclosed, waterproof, or explosion-proof. There are 486,223 parts of motor suppliers, mainly located in Asia. The top supplying country is China (Mainland), which supply 100% of parts of motor respectively. Parts of motor products are most popular in North America, Domestic Market, and Mid East. You can ensure product safety by selecting from certified suppliers, including 125,213 with ISO9001, 69,942 with Other, and 10,979 with ISO/TS16949 certification.